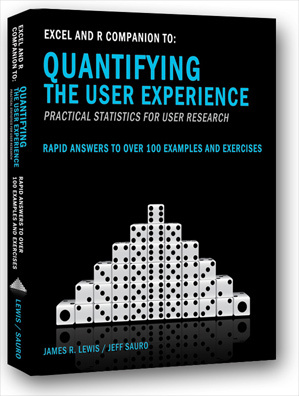 The book provides step-by-step screen shots on how to solve the most common statistical problems in User Research using 100 examples. 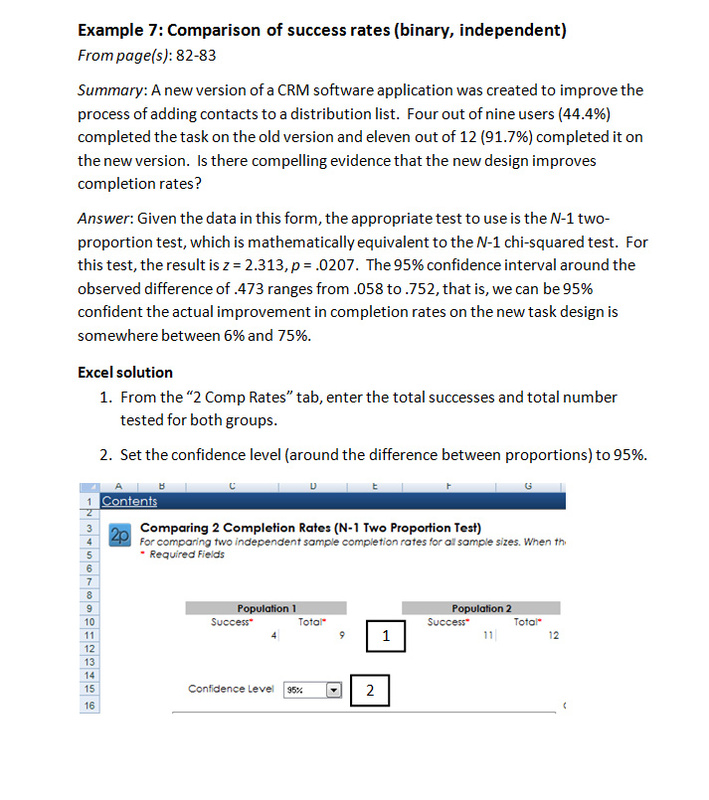 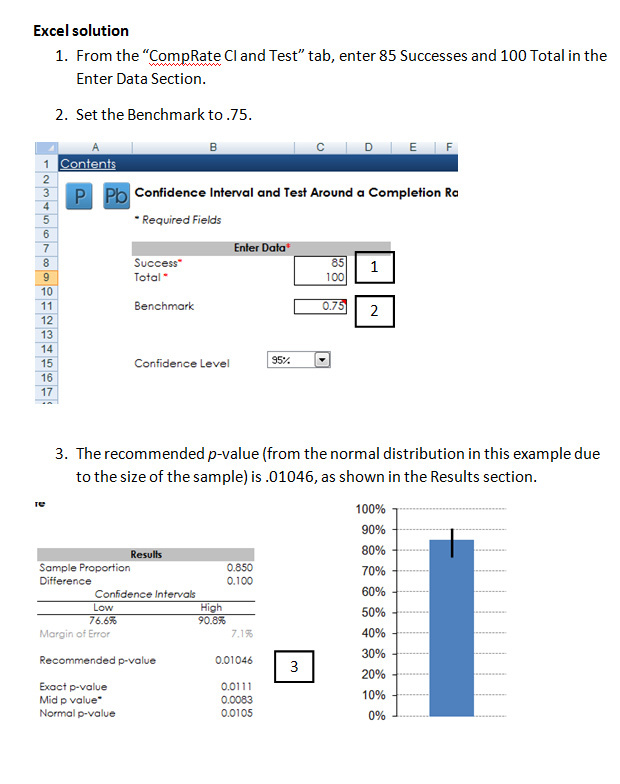 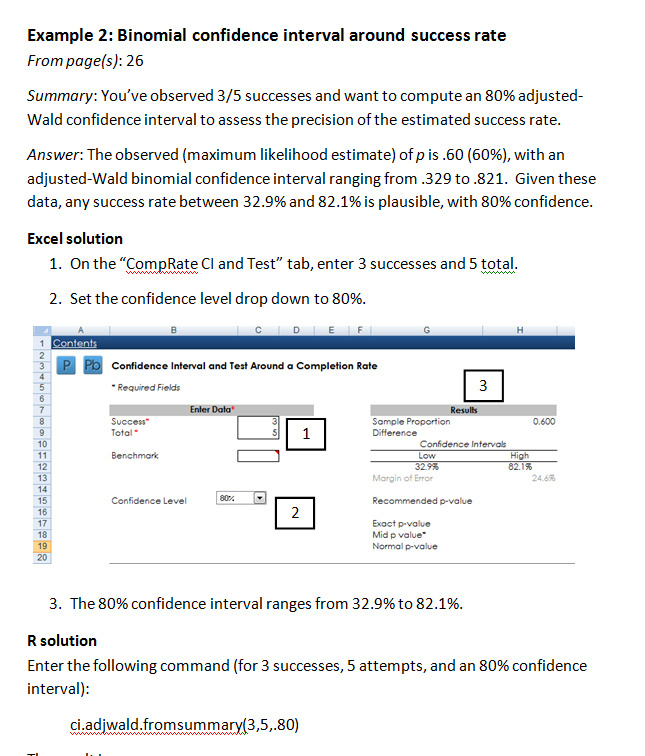 Details are shown for both the Excel calculator and the R statistics package. 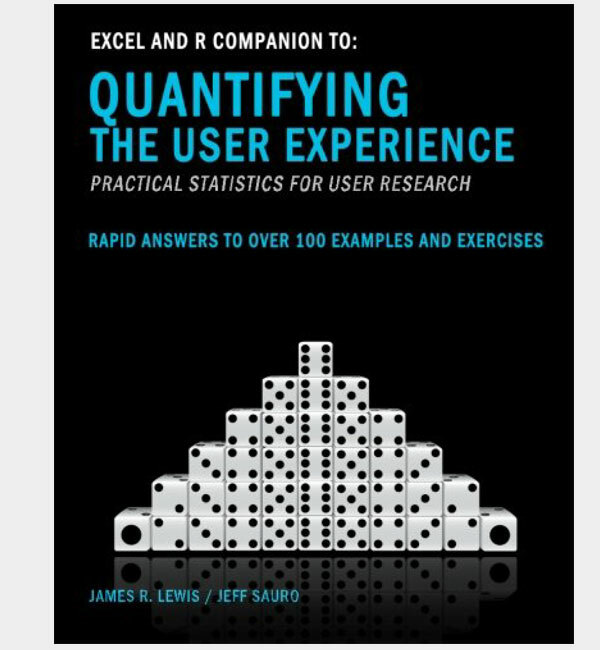 This is an electronic (downloadable) copy of the companion book to the 2nd Edition of Quantifying the User Experience. 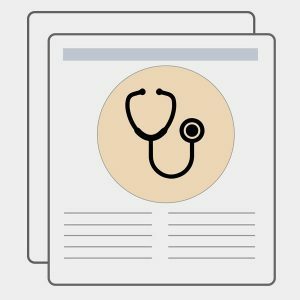 You may purchase a hard copy on Amazon.